​For three years now, we have been in and out of Hanoi staying 5-8 months at a time and I never run out of fun things to do in this capital city of Vietnam. 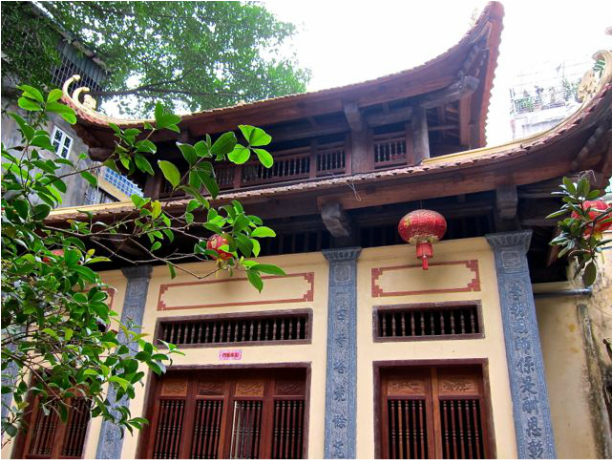 Given its rocky history, Hanoi is a living map for the curious and every nook and cranny invites one to peek in, take a picture and enjoy. Just moving about in the streets of the Old Quarter, a whole street drama unfolds of eternal grandmas sitting on their small stools arranging their wares on a small cloth, of vendors with baskets balanced on their shoulders hawking flowers, vegetables and other household necessities. A 7-11 on legs! And the longer you look, the more comes out of the background. 1. 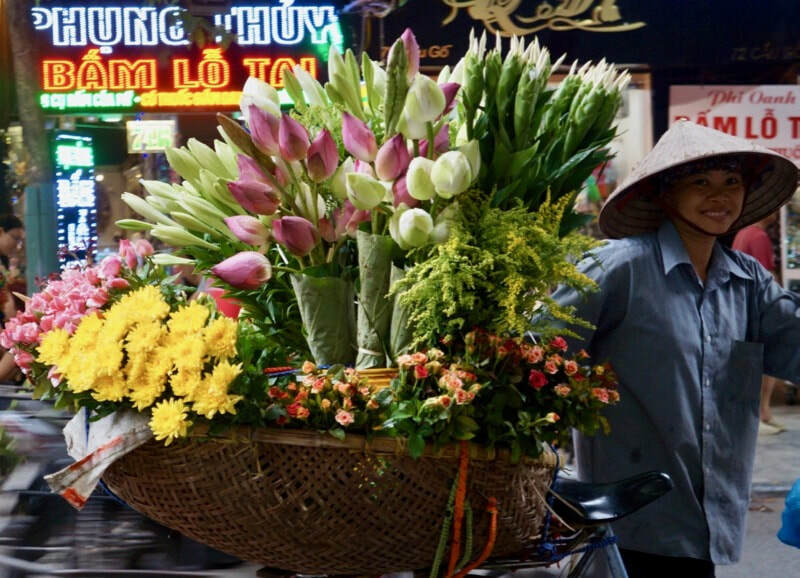 Try Pho or Bun Cha in the Streets of Hanoi. These soups are legendary and they will not kill you. This is the one thing that has never stopped to fascinate me, the tiny grottos in buildings with small stools extending to the sidewalks full of customers eating pho or bun cha. ​In Hanoi, the crowd is busy at breakfast time and peters off as soon as work starts. ​Then, the crowd changes from the breakfast eaters to the tea drinkers lazily lounging and talking to each other while savouring a cup of tea. 2. Eavesdrop in the bargaining between the street vendors of Hanoi and their customers. The loud bicker often sounds a bit aggressive, but its just the traditional way of setting market prices. The customers often start inspecting the wares....flowers or the vegetables... and start criticizing the ones they are interested in buying. They scrutinize every bit of each item and express their deep dissatisfaction. Only then, will they ask for how much. But the street vendors can’t really be beaten in this battle although to make a sale, their price has to come down. They usually puff up the first quote anyway so they have room for negotiation. Sometimes, agreement is reached but sometimes, the vendors just move on to hassle other customers who are willing to pay the price they are asking for. Pride sneaks in..so managing the discussion is important. It's a testament to the love for scholarship that the Vietnamese hold dear. Here are the stellae and stone statues, dedicated to the achievements of their first scholars. 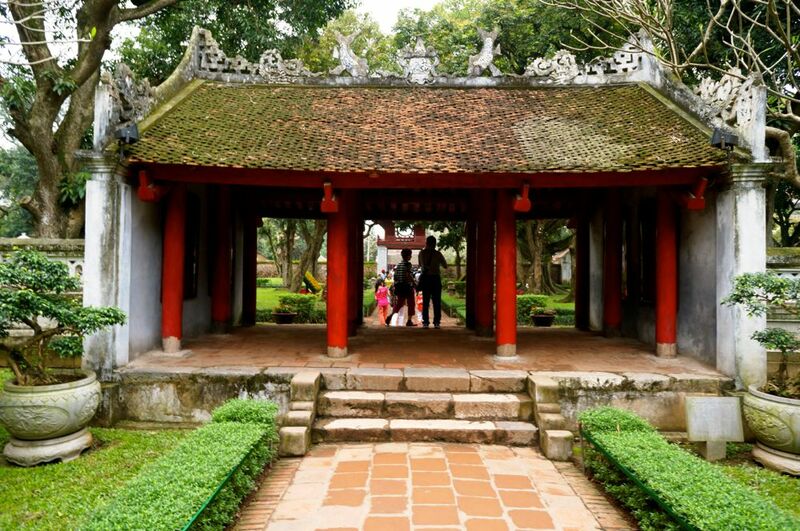 This is Vietnam’s oldest university. With its gardens around various courtyards, one can imagine how the scholars and their students walked thought these discussing in earnest some of their deep thoughts and inquiries...preparing to become Mandarins in the far off Chinese courts. During the war with the United States, it was the centre of the military and has only recently been opened to the public (2011). Historically, it was part of the old residence of the ancient Kings of the North and the archeological work is going on throughout the site. But most interesting is the bunker where the military leaders of Vietnam planned the war against the South in the 1960’s. You can go down the bunker and see from your historic eye these tiny leaders including the famous Ho chi Minh and General Giap, draw up their strategy. The meeting room is arranged the way it was when they were doing their strategy. Their tea pots and cups and other memorabilia are also there as well as the different maps they used. Even before the American War, it was the headquarters of the French administration so there is so much history here. This is just beside the Citadel and worth a visit. It has all the remnant hardware of the French and Americans you will ever want to see. Close by is the Ho Chi Minh Memorial where you can see the preserved body of the Vietnamese leader, Ho Chi Minh. 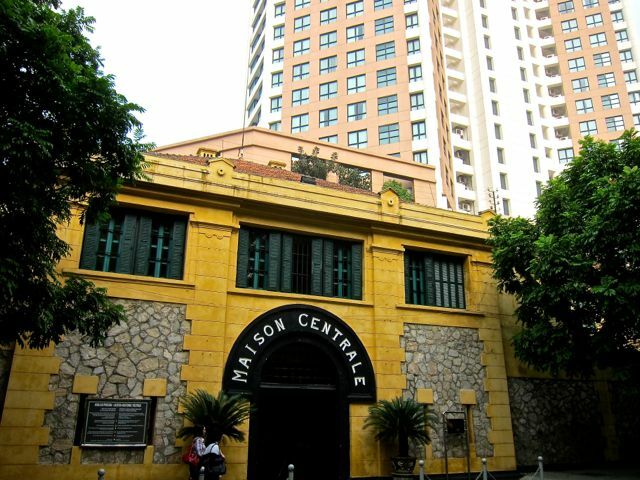 Another treasure not to be missed is the Hoa Lo Prison, the “Hanoi Hilton” where American Senator John McCain and his fellow pilots were imprisoned. Pictures of their days here especially the happy days, are displayed. But this prison was not just for the Americans. It was built by the French and for the Vietnamese and was where the revolutionary heroes suffered for their commitment to freedom. 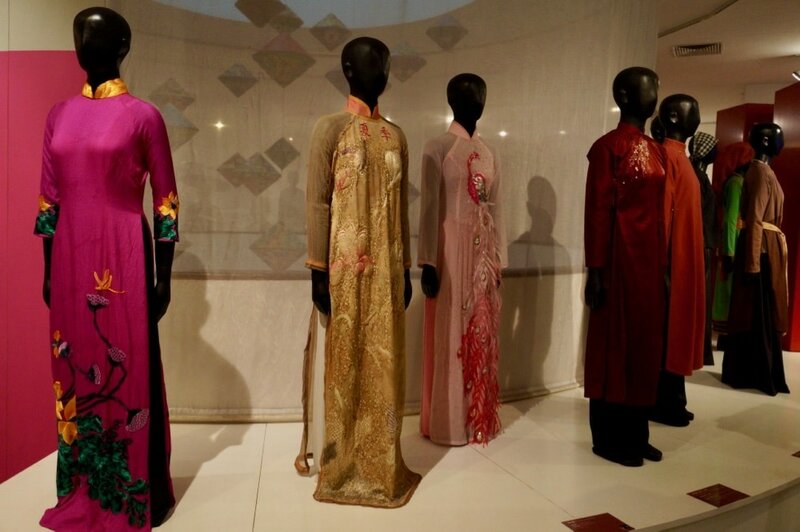 A short walk from the Hoa Lo prison is the Museum of Women and it is so well organized with some wonderful videos on the Vietnamese women and their contribution to Vietnamese society. 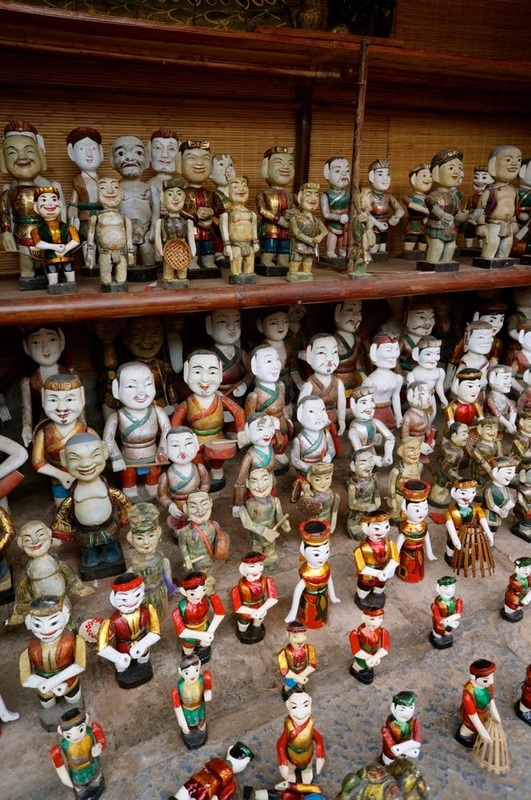 When you're in Hanoi, this is worth visiting. 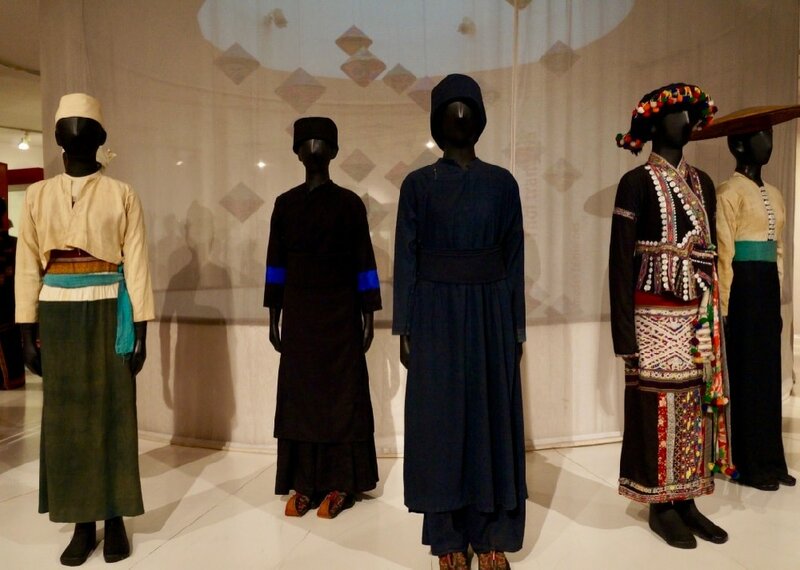 Another place to explore in Hanoi is the Museum of Ethnology where you can learn about Vietnam’s 54 ethnic minorities and get a sense of what complex society this once was. No other place will a shopaholic’s dream get fulfilled as in these ancient alleys. Each street used to be dedicated to one particular ware. ​Today, it has changed but it is still reminiscent of the olden times so one can go to the silk street or rattan row and just get lost in the various products spread out. There are embroidered items which are unique to Vietnam where embroidery is taught early in schools. Some of these embroidered frames look like they’re painted. For fabulous buys in Vietnam, here's the link. 10. 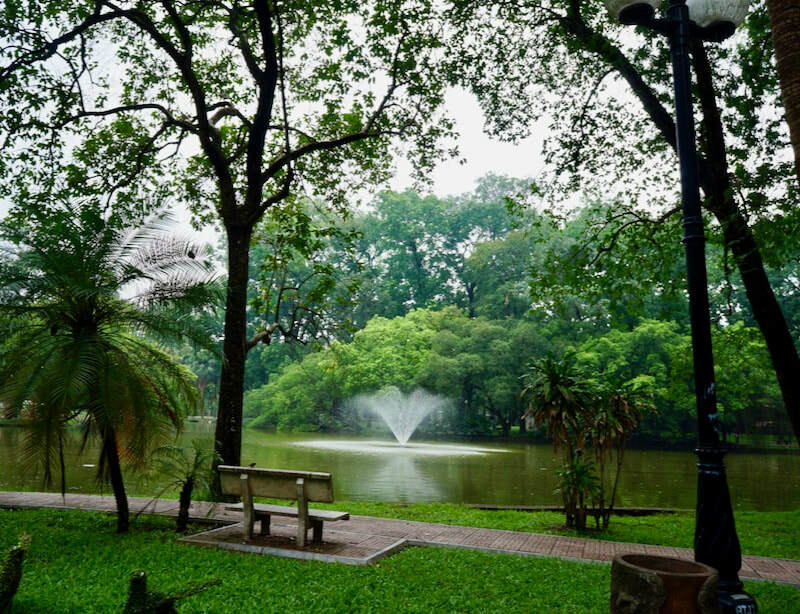 A Quiet Stroll Around Hoan Kiem Lake. 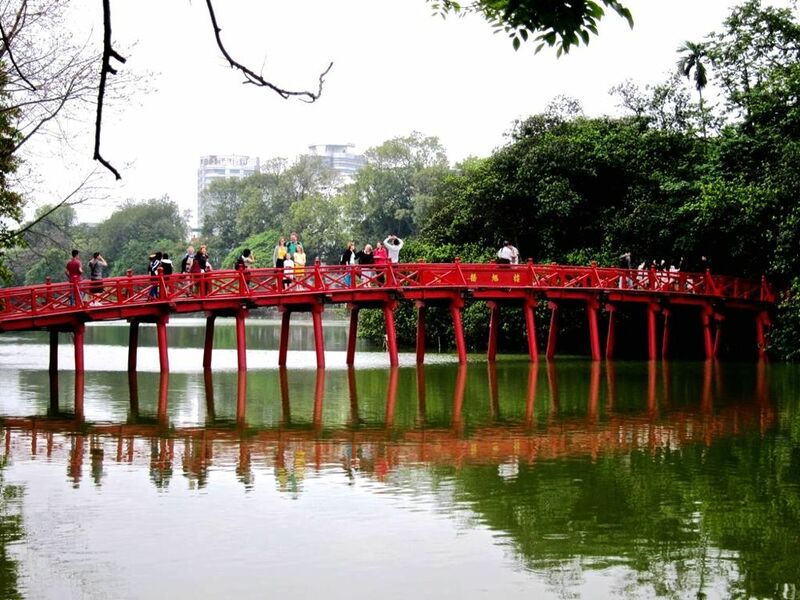 Get over to the Ngoc Son Temple walking across the red bridge. For the people of Hanoi, this is the centre of their day. If you happen to be there in a weekend, just sit in one of the benches here and you will see generations of Hanoians enjoying around the lake. 11. 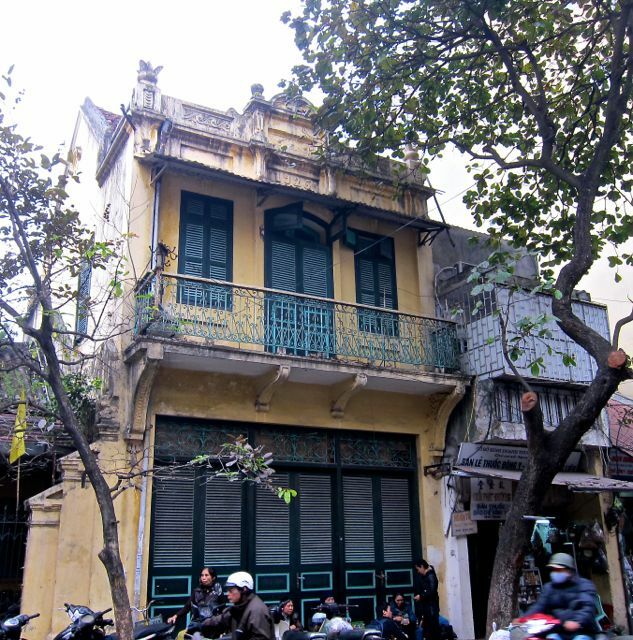 Visit the best Art Galleries in Hanoi. Explore Vietnamese art. The transition in art from Rembrandt Reproductions in the 1990’s to emergence of innovative Vietnamese artists today can all be seen...and purchased. 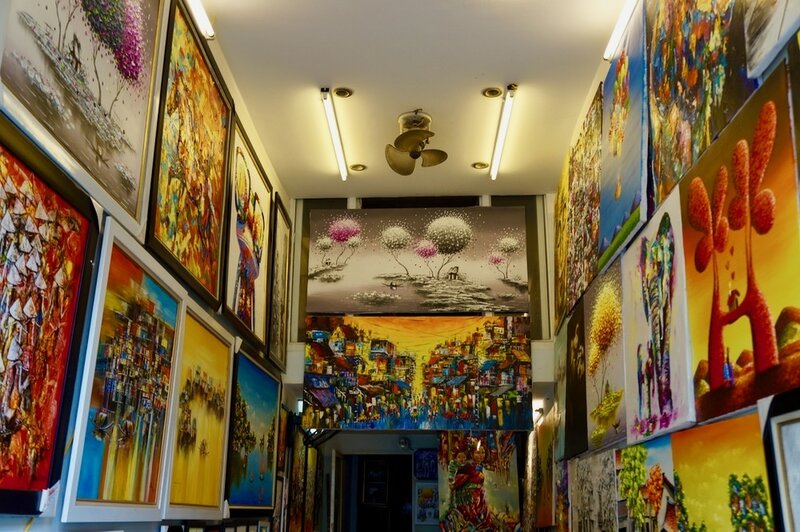 The first place to visit if you intent to buy art is Mai Gallery at 113 Hang Bong Street. It has some of the paintings as well as sculptures of the best local artists well displayed to appreciate it. The architecture above the tapestry of phone and power wires in Hanoi really shows the history of the city. From the remnants of the French empire to the fantasy of local temples, it’s like a second layer on the fabulous cake that is Hanoi. You can now enjoy this better when you walk in the weekends. The downtown centre streets are closed off to traffic and so you can walk in the middle of the street and enjoy the view of the buildings. The streets closed off to traffic offer its own fun, from kids having so much fun, bands with folks dancing around, families playing games on the road and food trucks. Talking of streets, there is Pho Sach, another closed of street to traffic. Lined with bookstores, you can get both Vietnamese and English books. Go and have a drink at The Metropole and don't forget to look at the old pictures in the Lobby. 14. Learn how to prepare Vietnamese dishes. What place in Hanoi would you recommend for visitors?